Mexico was the deadliest country for journalists in 2017 with at least 14* killed, edging out Iraq and Syria, even as the total number who died around the world in connection with their work dropped to its lowest level in a nearly a decade, the International Press Institute (IPI) said today. IPI has added 82 names to its Death Watch so far this year, down from 120 in 2016. This year marked the first time that IPI’s number of annual deaths fell below 100 since 2008, with the exception of 2014, when some 99 journalists lost their lives. IPI Executive Director Barbara Trionfi welcomed the decrease while faulting governments’ failures to bring journalists’ killers to justice, calling such murders “an attack on the fundamental human right to share and receive information and on democracy itself”. Latin America and the Caribbean was the deadliest region in 2017 for journalists. More than one quarter of the 82 journalists who died in connection with their work lost their lives there. All but one of the 25 journalists who died in the region appear to have been deliberately targeted for their work, a decrease from 2016, when some 28 journalists were similarly killed. Mexico presents by far the worst picture. 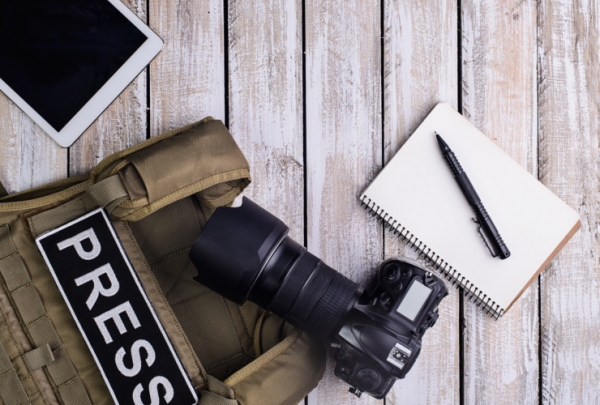 Despite government efforts to implement mechanisms to protect threatened journalists – efforts widely criticised for their ineffectiveness – at least 80 journalists have been killed amid a wave of violence unleashed following then-President Felipe Calderon’s initiation of a war on the country’s drug cartels in late 2006. While IPI was able to link four of the 14 killings in Mexico in 2017 to journalists’ work, the other 10 deaths remain unsolved. Moreover, none of the cases have led to a conviction of those responsible for committing or masterminding the crimes. 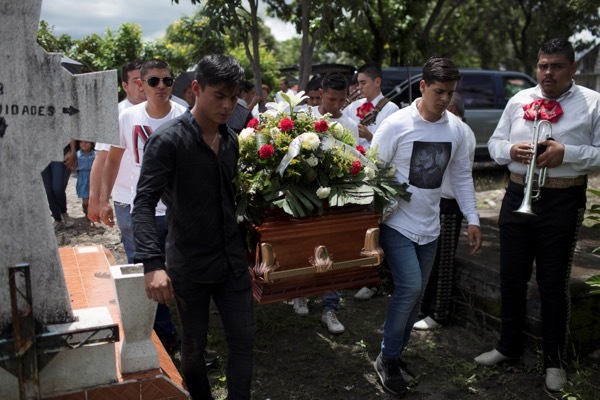 Around the region, journalists were also killed in Honduras (4), the Dominican Republic (2), Colombia (2), Guatemala (1), Peru (1) and Brazil (1). The Middle East and North Africa remained the second most-dangerous region in 2017, although the number of deaths dropped from 41 last year to 23, all of which came in Iraq (11), Syria (9) and Yemen (3). The majority died while covering armed conflict or in explosions attributed to violent extremists. Asia and the Pacific followed closely behind, with 19 journalists dead, three more than in 2016. Sixteen of those journalists appear to have been deliberately targeted in India (7), the Philippines (6), Pakistan (2) and the Maldives (1). Two others died in explosions in Afghanistan while on assignment and another was shot and killed covering political unrest in Bangladesh. In sub-Saharan Africa, three journalists were killed in bombings in Somalia, one targeted, and three journalists were gunned down in Nigeria. All of the cases remain unsolved. One journalist was killed covering armed conflict in South Sudan and another died on assignment in Ghana, bringing the total in the region to eight, up from four in 2016. Europe saw the deaths of five journalists, two of which came, unusually, within the EU. A Swedish journalist was allegedly killed in Denmark by an inventor after accompanying him aboard his homemade submarine to interview him, while a prominent muckraker in Malta was killed by a bomb placed in her car. Three journalists also died in Russia under as-yet-murky circumstances. In North America, two journalists died in the United States: one in a news helicopter crash and the other from injuries suffered in 2013 when gunmen opened fire at a parade she was covering. The year 2017 also saw an increase in the number of women journalists who died in the line of duty, from four in 2016 to 10 so far this year. However, that tally is lower than 2015, when 16 women journalists lost their lives. IPI’s Death Watch has tracked the deaths of journalists worldwide since 1997, including those deliberately targeted because of their profession – either because of their reporting or simply because they were journalists – as well as those who lost their lives while on assignment in order to reflect the full toll. Other press freedom groups, however, use a different methodology, resulting in lower numbers. Since 2015, IPI has also included murders that remain under investigation if the totality of circumstances indicates that the journalist was likely targeted due to his or her work. That decision is a reflection of the impunity with which so many journalists’ murders increasingly are met, due either to an inability or unwillingness by some governments to fully investigate those crimes. 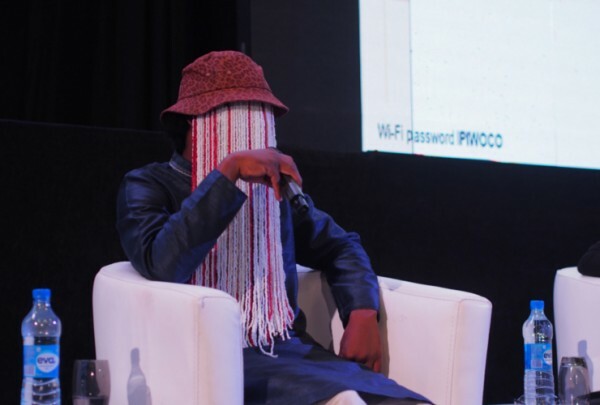 For example, while some 50 journalists appear to have deliberately been targeted for death in 2017, the motives or identities of the killers remain unknown in two thirds of those cases, a ratio similar to that seen in 2016. *This article was revised on Dec. 20, 2017 to reflect the murder in Mexico of journalist Gumaro Pérez Aguilando, killed on Dec. 19 following the article’s initial publication.